Spain is a country famous for tapas, sangria, amazing wines, and a unique lifestyle. The country has 17 regions, each boasting an amazing gastronomy with thousands of years of history and cultural influences. In the Catalan region, gastronomy is representative of the Mediterranean diet, the one founded by the Greeks and the Romans, but as well influenced by a number of cultures, including the Arabs. Barcelona, its capital has been always the main port within the Mediterranean basin, and as such a city of passage, the place where different cultures have converged for years. To date, Catalonia is the Spanish territory with the most Michelin stars, followed by the Basque Country and Madrid. Only in 2017, three new Michelin stars were added to a total of 54 establishments with the macaron. Barcelona ranks #11 within the world foodie destinations vis-a-vis its Michelin stars. But that doesn’t stop there, as there are plenty of establishments worth the hype that strives each day to serve the best of local gastronomy, which is celebrated through traditions, entertainment and by sharing. 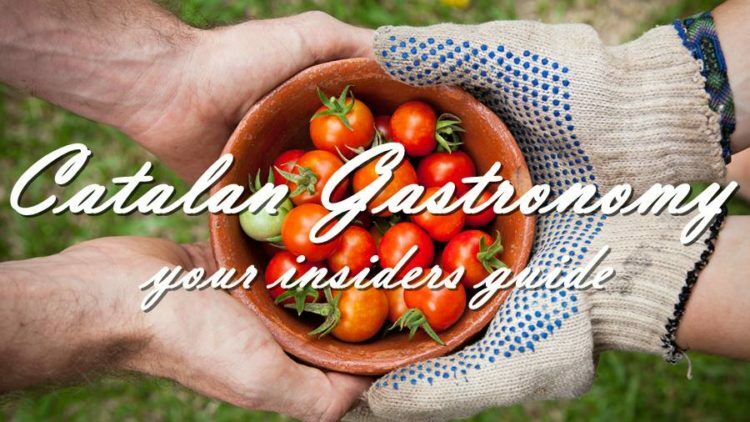 Avant-garde creativity and the passion of food entrepreneurs has positioned Catalonia and its cuisine as one internationally prestigious and brings thousand of visitors from all over the world each year with the sole objective of knowing and tasting Catalan cuisine. The cuisine in Catalonia has a delightful history. From the antiquity to our days, Catalan cuisine has received influences that have made it rich and diverse, and have shaped the country’s gastronomic tradition, always with a strong Mediterranean character, where new products have been always welcomed, and where mixing flavors it is a must: meat with fish, fruit with birds, and chocolate in the chops (a way to finish the dish, chopping in a mortar, parsley, toasted bread and hazelnuts and toasted almonds). Not forgetting the influence of the different migratory currents of other Iberian peoples of the peninsula and, of course, the influence of Italian and French cuisines, the simplicity and the way to perfection respectively. The influence of the Greek, Romans, Arabs and the different migratory currents of other Iberian peoples of the peninsula and, of course, the influence of Italian and French cuisines, simplicity and refined, respectively had led to the natural creation of local versions of dishes and yet unique to Catalonia, such as Catalan cannelloni, present during Christmas festivities, the unmissable pa amb tomaquet, and the crema catalana, an evolution of the creme brulee. The Catalan territory is rich in produce, and this is where the circle closes, because Catalan kitchen is the mirror of its landscape, diverse, rich and daring, with a continuous desire to evolve. From medieval days, recipes were recorded in books, and the most ancient one in Spain was written in Barcelona, Catalonia. The Sent Sovi book. In general, the Mediterranean culture incorporated oil, wheat, and wine, the Arab one the rice, sugar, and eggplants, and the discoveries of the Americas brought tomato. All ingredients that are highly present in Catalan dishes nowadays. 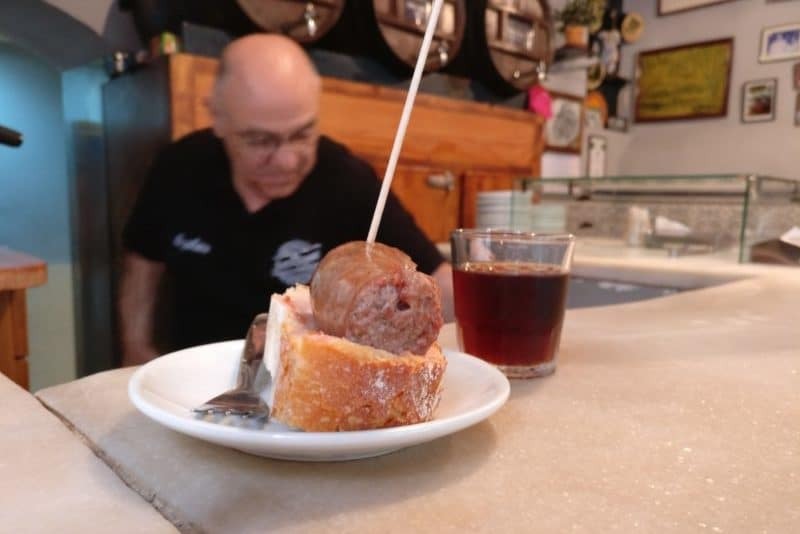 It is difficult to travel around Catalonia and not stumble upon any of the gastronomic events that are celebrated throughout the year in its cities and whose main objective is the enjoyment of the five senses. Local restaurateurs love to showcase their products and to celebrate ancient traditions through food, so be prepared to enjoy popular tastings, it’s fun and rich as a culinary experience. 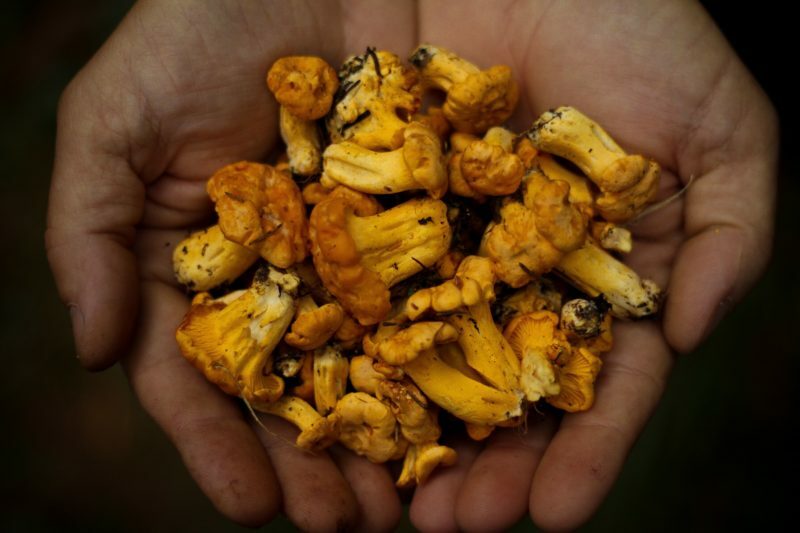 In autumn mushrooms take over the culinary scene; winter is time for the calçotades and xatonades; spring awakens with tasty fruits and summer explodes with feasts by the sea. In Autumn, Barcelona food markets get flocked with a wide array of mushrooms´varieties that are consumable; restaurants prepare seasonal dishes, such as Fricando, and with them, also fairs and competitions, and organized excursions to collect mushrooms in the country side pop up all over the region. The Fira de la Llenega de Cardona, in the Bages, the Fiestas de la Seta in Berguedà, are worth fairs to visit, and the Contest of Boletaires of Puigventós or the one of Setcases, in Ripollès, are amazing culinary and cultural experiences to see in Catalonia. The Winter, far from being a poor period in terms of events, offers proposals such as the great calçotada of Valls, with more than a hundred years of history where this national delicacy, calçot, which is actually an onion, is celebrated and eaten. There are also festivals and fairs around olive oil, in the Terres de l’Ebre and Lleida; and the xatonades, on the Costa del Garraf and in the Penedès areas. Towards the end of winter, the egg-botifarras, the tortilladas or the cod-dishes such as bacalla a la llauna or empedrat, take over the gastronomic scene in Catalonia reminding us that cold days are to get behind us. In Summer, several towns of Catalonia celebrate the traditional gastronomic festivals of El Segar and El Batir, such as Fuliola (Urgell), Avià and Gósol (Berguedà), Sant Climent de Peralta (Baix Empordà) and Sudanell (Segrià). These are basically gastronomic encounters, where farmers take out their porros to drink wine. These festivities are great to taste Catalan traditional foods such as the best sausages from each town. Yes! each town produces a different sausage. We recommend attending the traditional contest of Longaniza de Payés in Bellver de Cerdanya. On the other side, Catalans love to enjoy their summer evenings by the sea, where they eat suquet, a paella or seafood in one of the Catalan fishing ports such as Vilanova i la Geltrú, Sant Carles De la Ràpita or Barceloneta in Barcelona. People in Catalonia like to eat in an informal way, always sharing an array of tapas. Enjoying gastronomy in Catalonia is fun, and there are plenty of restaurants and tapas bars that make this experience unforgettable. 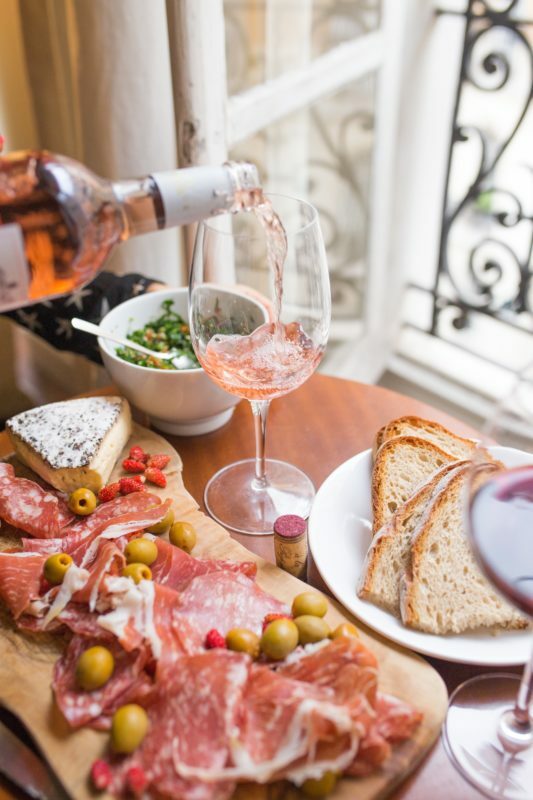 A very ingrained custom in Catalonia is to sit in a terrace and have a glass of vermut with a snack, and then go for a tapas lunch, for which wine takes over on the vermut. In bigger cities, an enriching experience for the gastronomic traveler is a visit to the historical markets such as La Boqueria, Santa Caterina and Sant Antoni in Barcelona, or the Central Sabadell in Sabadell where all day delicious tapas are served in their bars, and where more and more one can enjoy the breakfast by the fork, which is a fulfilling way to eating breakfast. Catalonia has a wide and amazing gastronomic offer that satisfies all budgets and desires from traditional gastronomy, ¨cocina de la casa¨, to trendy and eclectic cuisine, this region is a culinary blast for your buds. In general, trendy hotels have a restaurant led by a prestigious chef; at the countryside, the so-called ¨fondas¨ are big houses that offer accommodation and catering services, which offer traditional Catalan gastronomy, always in contact with nature and far from the city noise, and with tons of wine to pour over your mouth. Sweets are equally important to tapas and vermut, and in festivities a reason for a pilgrimage to certain markets or sweet shops. 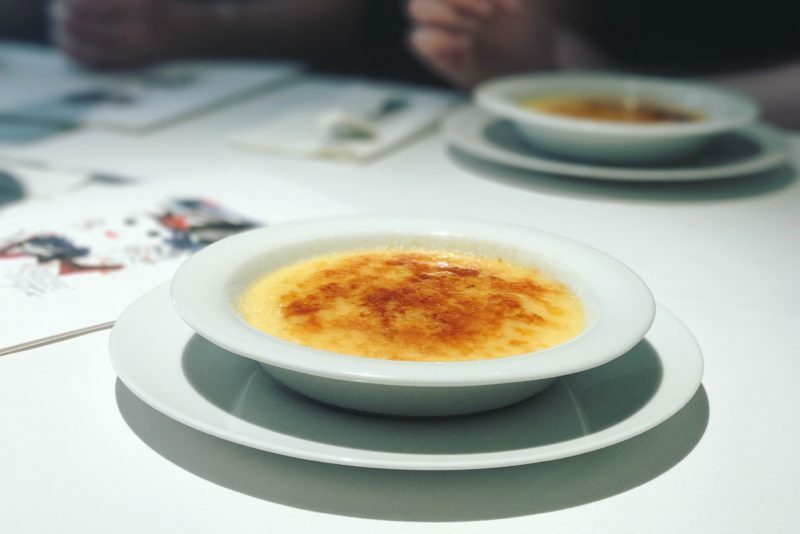 Catalan recipes for desserts have acquired the category of culinary jewels, to name some: crema catalana, mel i mato (honey with soft cheese), fritters, carquiñoles and the traditional panellets served for All Saints’ Day and the prestigious Catanies from Vilafranca del Penedès. Most Catalan towns have a sweet that identify them; coconuts and sweets of the Terres de l’Ebre, the pastissets of Rasquera and Tortosa, the orelletes and the biscuits of the Vall de Camprodon or those of Vilada, to name some examples. Sweets in Catalonia are also seasonal. During Easter, the traditional Mones take the scene, these are cakes traditionally decorated with hen’s eggs, which have now been replaced by eggs made from chocolate, and also by figures who represent the idols of the moment for the little and not so little ones. For Christmas, the choice of sweets increases with wafers, roscón de Reyes and nougats, which are sweets made with almonds and hazelnuts as a base star element, soft or hard. Tip: get to a specialty store in Barcelona, look for catanies and a bottle of cava, the rest we leave it to your imagination and creativity. DOQ: Denomination of Origin Qualified (DOC in Spain & DOQ in Catalonia) is the highest category in Spanish wine law, reserved for regions with above-average grape prices and particularly stringent quality controls. DO: A Denomination of Origin (DO) refers to Spain’s wine quality control system. D.O.Q. Priorat. The Carthusian monks began to grow vines in this region, located on the interior of the province of Tarragona as early as 1262. D.O. Penedès. By the time of the Romans, the wines of the Penedès were appreciated throughout the Empire and exported to Gaul, Britania, and even Mauritania. D.O. Empordà. In the Empordà the vines barely rise a few centimeters from the earth to prevent the tramontana spoils them. And it is so for more than 2,000 years when the Greeks implanted the vineyards in these places. D.O. Costers del Segre. This young denomination of origin of the province of Lleida, created in 1983, has reached prestige quickly thanks to the experimentation with unusual wines. D.O. Alella. The wines of this area were already praised by the Roman writers Pliny the Elder and Martial in their epigrams. D.O. Cava. 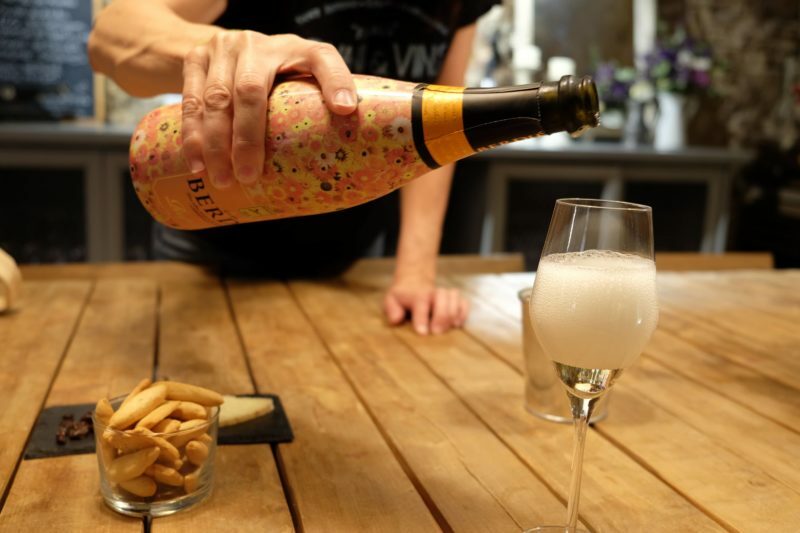 This sparkling wine, famous all over the world, began to be known in the area of Sant Sadurní d’Anoia (Alt Penedès) in 1872 when Josep Raventós made the first 3,000 bottles in the historic Codorníu house. Currently, more than 200 million bottles are produced each year under the méthode champenoise. Check out the best Barcelona wine shops, here! Many of the products made in Catalonia, due to their excellence, have deserved one of the two official distinctions given in Spain to high-quality foods: the Protected Designation of Origin (P.D.O.) and the Protected Geographical Indication (P.G.I.). 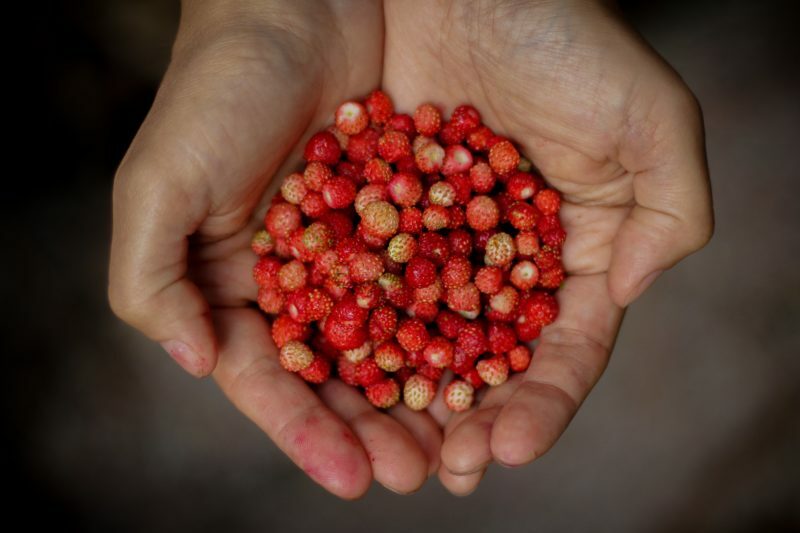 Both are reserved to typical products rooted in an area that provides them with a specific character and an inimitable flavor, as a result of the close relationship between the product, the environment, and human talent. Among the P.D.O. products, we find the Delta de l’Ebre´s rice; hazelnut of Reus; cheese of the Urgell and the Cerdanya; the olive oil from Les Garrigues, Empordà, Terra Alta and Baix Ebre-Montsià; the butter of the Alt-Urgell and the Cerdanya; the bean of the Ganxet del Vallès and the Maresme; the pear from Lleida and the oil of Siurana. And the P.G.I. products are calçot de Valls; the clementines from the Terres de l’Ebre; the sausage of Vic; the potatoes of Prades; the Chicken and capon del Prat, the apple of Girona, the nougat of Agramunt and the calf of the Catalan Pyrenees. Strolling through the Catalan towns in search of each one of these products it is a great culinary adventure to take on, as travelers can uncover the diversity of landscapes and the passionate food entrepreneurs and farmers who are behind them, making Catalonia such a rich, diverse and tasty gastronomic region. 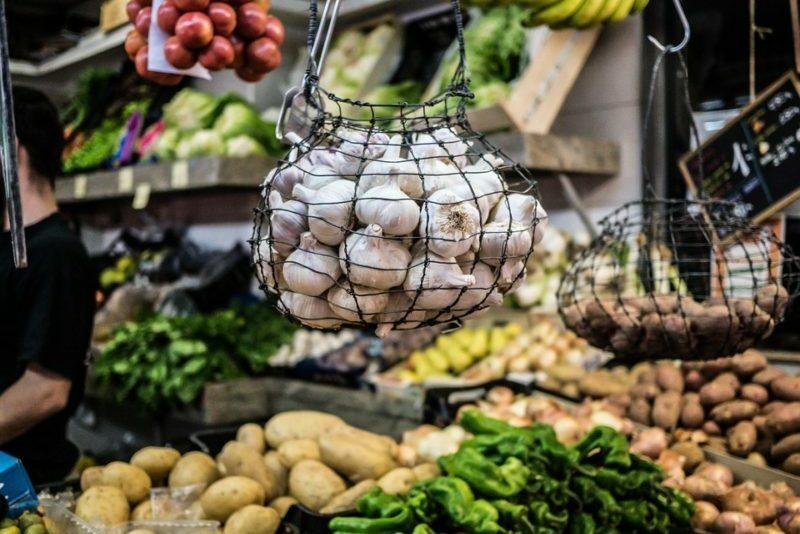 In case you would like to have a hint of the above while visiting Barcelona, Barcelona Eat Local offers food tours in iconic districts of this wonderful city, where we partner with local restaurateurs who offer the best of local gastronomy. You can dive into the best foods that shaped what are nowadays Barcelona foodie districts: Sant Antoni and El Poble-sec or experience first hand the all-time tapas traditions at old-school Bodegas, uncover the wines of Spain on a romantic stroll, or become a craft beer expert while learning tons about Barcelona culture and trendy life!. In case this post brought you some value and insights about Catalan cuisine, make it live with your friends and also drop us a comment on Barcelona Eat Local´s social media! 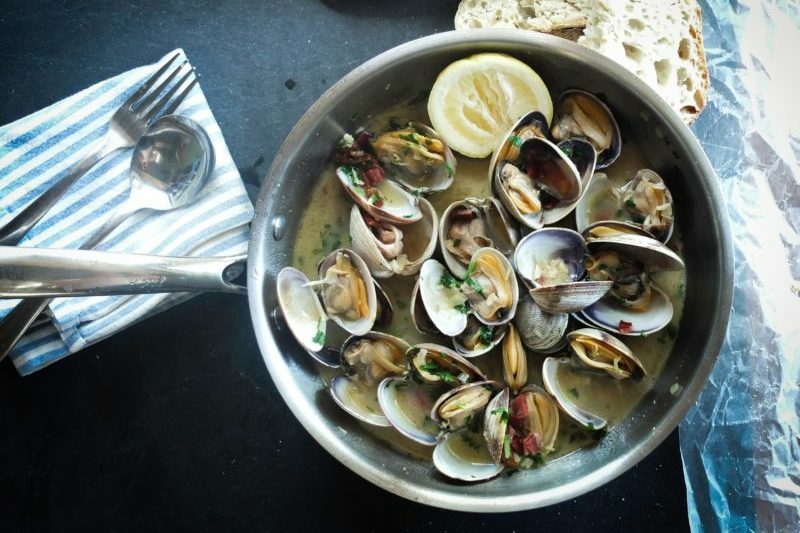 With more Spanish and Catalan foodie ideas, mouth-watering pics and much more!